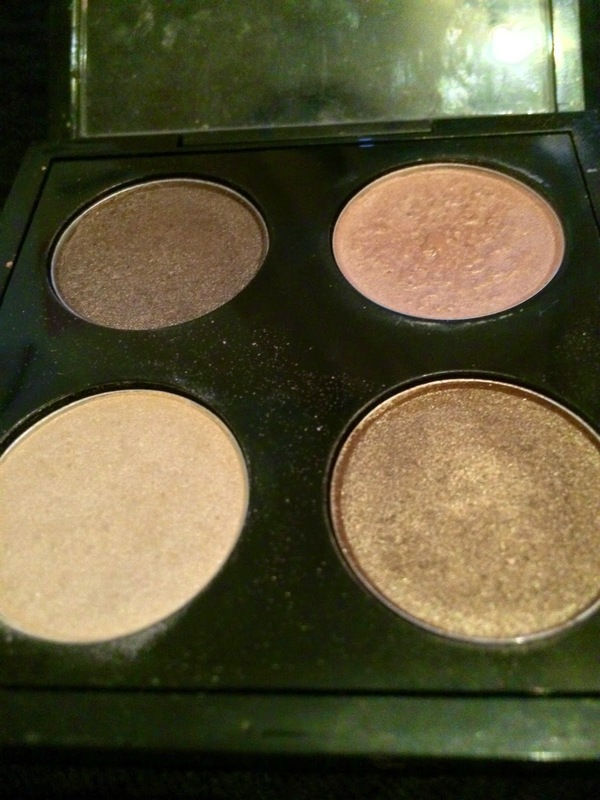 So, it's no secret that I think that MAC Eye Shadows are the best around... by far. They are easy to apply, have absolutely amazing staying power and come in so many gorgeous colours. 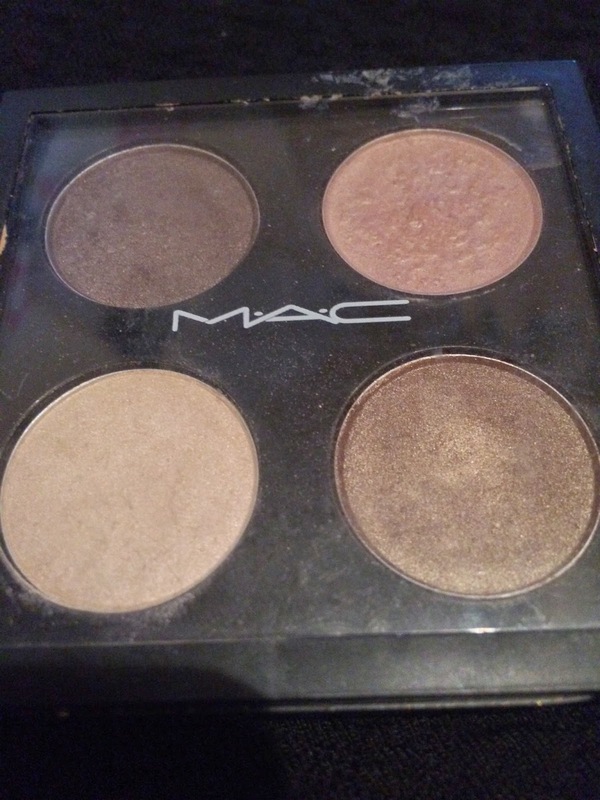 I have tried a lot of MAC Eye Shadows, like really. I have settled on four that are my firm favourites. I repurchase these as soon as I hit pan. These are great for if you're starting out with makeup as they are neutral shades and all four can be used to create one makeup look. I apologise for how filthy this quad is but I carry it around with me everywhere in my bag. Also I've been using Naked Lunch wet so it looks a bit gross but I will fix it up soon enough. Shroom, 'soft beige with shimmer' instead of Dazzlelight. Cork, 'muted golden brown' instead of Woodwinked. All That Glitters, 'beige with gold pearl' instead of Naked Lunch. I like to use Naked Lunch all over the lid, Satin Taupe on the outer corner, Woodwinked in the crease and Dazzlelight on the brow bone. It's such an easy and gorgeous look. £££: Single Eye Shadows, £13. Pro Palette Quad, £5. Pro Palette Refill Shadow, £10. As you can see, it's better value to get a pro palette and buy the eye shadows in pan refill form. The quad would cost you £45 altogether that way whereas buying the eye shadows separately would cost £52.